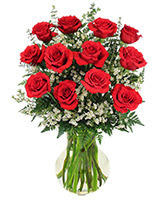 Red roses are classic. But sometimes you want to add something extra. 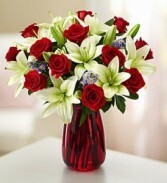 This bouquet of radiant red roses complemented by white Asiatic lilies and rich purple blooms will bring as much happiness to her on Valentine’s Day as she brings to you every day. 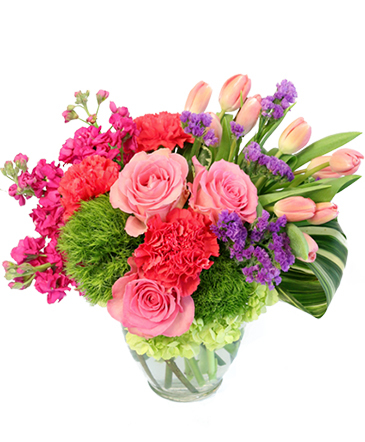 Impress a new love or a fresh crush with our hand-designed gathering of pink roses, pink Gerberas, carnations, alstroemeria and cushion mums. Arrives in a fashionable purple glass vase to make her feel like a true princess.